With most of the courses being taught using real life case studies, the case study method is a key component of the programs at IBS. Management case studies describe the situations faced by practicing managers in a narrative form, and also provide the supporting information necessary to involve students in the decision-making process. These case studies encourage students to think of the possible ways of handling such issues, and help them learn the complexities of decision-making in business and the challenges that managers face every day at work. 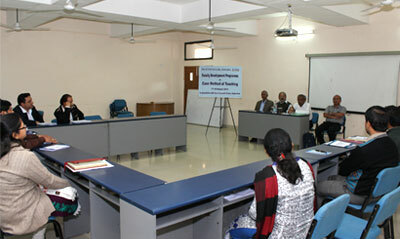 Almost all the courses in the IBS program are designed around the case method. A few courses are even taught entirely through case studies, with cases tailor-made to the requirements of the subject areas. Student evaluation is based on individual team presentations, written reports and class participation. IBS has a huge repertoire of case studies in most of the functional areas in management. 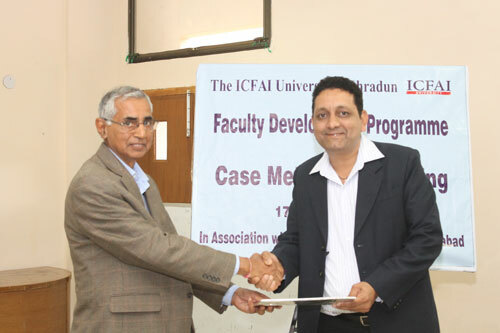 IBS has created dedicated research and content development centers for producing case studies. These centers develop contemporary and thought-provoking case studies which provide great learning value to the students. Most of the case studies are also made available to global customers through the European Case Clearing House (ECCH). Besides IBS, these case studies are being used by a large number of business schools, universities and companies across the world. Bostan Consulting group, McKinsey & Co., British Telecom, Cadbury Schweppes, Coca-Cola, Goldman Sachs, Hewlett Packard, Johnson & Johnson, KPMG, McKinsey & Company, PricewaterhouseCoopers, Procter & Gamble, and Siemens AG are just some of the major business organizations that use IBS case studies. Universities and business schools that use IBS cases include University of Oxford, University of Cambridge, University of Helsinki, London Business School, INSEAD, IMD, University of Michigan, etc. These case studies have also been published in several leading management textbooks published in Europe, the US and the UK. All IBS students are provided with case study volumes (as part of their courseware package), customized for different subject areas, Magazines and journals containing case studies are also provided to the students.